Electric Vehicles (EV’s) – Are They Worth It? In 2015, sales of electric vehicles (EVs) passed a major milestone, with the number of such vehicles surpassing the 1 million mark worldwide. Almost half of those new vehicles (477,000) were manufactured in the previous year. Three countries—the United States, the Netherlands and Norway—accounted for more than 70% of those cars. American consumers who are trying to decide whether buying an EV makes sense for themselves and their families have heard a few very general facts from news reports —for example, that EVs save money, or that they reduce carbon emissions and slow the progression of global warming. But most don’t have all the facts about EVs, and don’t know if their benefits outweigh their disadvantages. You’ll spend less on fuel: obviously, if you have an EV, you no longer shell out money for gasoline. On the other hand, electricity isn’t free either. To find out whether electric car owners save money on fuel, Plug-In American ran the numbers. According to their analysis, on average Americans with traditional cars spend $2,135 a year on gas. They estimated the average electricity rate at 12 cents per kilowatt hour (kWh). Assuming that cost and using the same number of average driving miles, they calculated that annual cost to fuel an EV at $540. Based on that analysis, an electric car will save its owner, on average, $1,595 a year. You’ll spend less on maintenance: EVs cost less to maintain. For example, you won’t need oil to lubricate the engine, which means no costs for oil, or for oil changes. In addition, brakes in EVs don’t wear as quickly, which means you won’t need to get new brake pads as often, another cost savings. You’ll qualify for state and federal tax credits: many states and the federal government want to reduce carbon emissions. For this reason, they try to entice new car buyers to consider an EV with attractive tax credits. For example, if you buy the Nissan Leaf for $30,000, you’ll qualify for a federal tax credit of $7,500, dropping the price to $22,500. Several states offer tax credits in addition to those you get from the federal government, typically as much as $2,500. That means your new electric Nissan could be $20,000 or less. 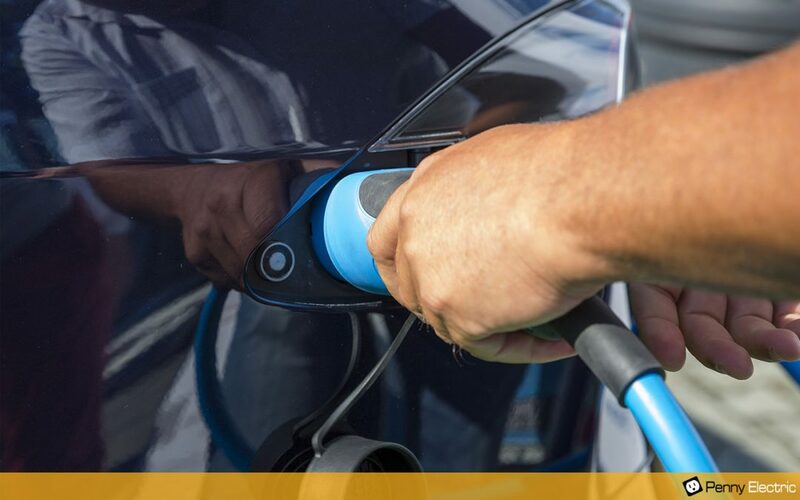 The state of Nevada offers a number of financial incentives for buyers of EVs and hybrid vehicles, such as exemptions for smog and emissions testing and insurance discounts. You’ll have a shorter driving range: this is the biggest disadvantage of EV ownership for buyers, many of whom worry that they’ll run out of juice in a location where no charging station is close by. The good news for potential EV buyers is that auto companies are actively competing to increase driving range. While some EVs (including the Nissan Leaf and the Ford Focus Electric) have a range of only 75 miles, the two most current Tesla models can go 250 miles or more without recharging. The problem for most consumers is that a Tesla will cost about twice as much as EVs from traditional automakers—but that’s changing. The 2017 Chevy Bolt, for example, is priced similar to other Chevrolet vehicles and has a 200-mile driving range. The need to recharge: the need to install a charging station at home is a major obstacle for many buyers. The good news is that many home charging stations are surprisingly inexpensive—for example, the Clipper Creek starts at just $565. In addition, some forward-thinking electricians are offering affordable charging station installation services. Finally, public charging stations are becoming more pervasive as the number of EVs on the road increases. New batteries are costly: batteries in most EVs last for about 10 years. When they stop working, you’ll have to replace them, and they’re not inexpensive, with most models running into the thousands of dollars. Of course, the $1,500 in annual fuel savings will grow to $15,000 over ten years, more than covering the cost of your new EV battery. The EV market in the Las Vegas /Henderson area is growing, and, with the decision by Faraday to build a new manufacturing plant in North Las Vegas, that growth will soon accelerate. Penny Electric is keeping pace with these changes by offering a home charging station installation service to EV owners. To learn more about pricing, additional details and scheduling to have an Electric Vehicle Charging Station installed in your home, please submit a quote request online or contact us today.